This one might have come early in the year, but it's still fresh in my mind. In a year that also includes Stranger Things (which I'll get to later in this list), the misadventure of youth, combining with some mysterious happenings, are a formula that worked for me this year. 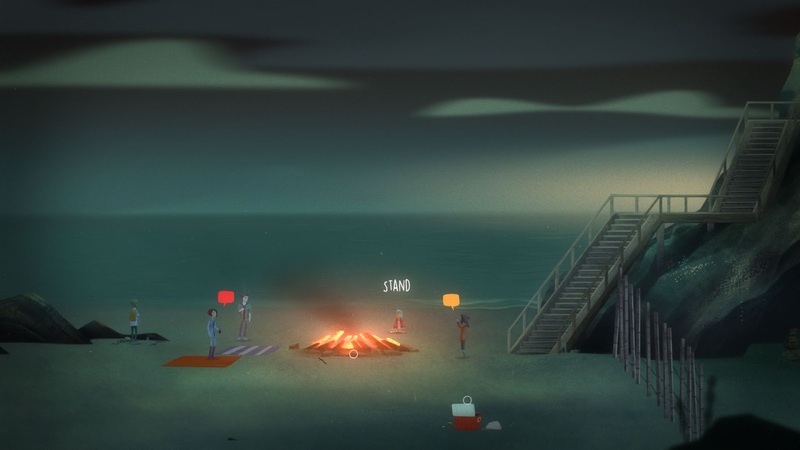 Oxenfree is a brilliant little indie adventure game by Night School Studio. It's crammed with some of the best writing in this or any other year, that was sadly overlooked by many. The writing works mainly because it treats it's teenage protagonists as real characters instead of boring stereotypes. It feels right. If the teenage dialog in last year's Life is Strange strayed into the cringe worthy on occasion, here they hit almost all their marks. Coupled with some top notch voice work it affords the whole affair an engaging set of characters that help pull you in. Ultimately though it was the characters and writing that truly held the whole thing together. The game is well worth a place on any end of year awards list, so here it is on mine!